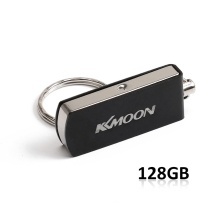 USB2.0 U disk: Fast Data transmission speed, suitable for storing digital data for school, business or daily usage. The digital data includes music, video,photos, movies, manuals, softwares, etc. Support all current computer systems. Excellent USB Memory stick in excellent condition. Supports hot plug & play, high speed USB 2.0 port. Plug-and-play; no external power supply required, USB bus-powered. XRead Rate: 12-18 Mb/S Write Rate:4-6 Mb/S(Interface USB 2.0). Operating system：Windows XP/7/8/10, Vista, LINUX2.4.x,Mac OS 9.X, etc. So there are some differences between display capacity and nominal capacity of flash memory products. You can also Google &apos;Memory card capacity&apos; to get more information.